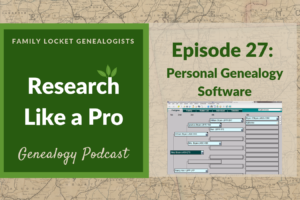 In our podcast episode today, Diana and I interview Rebecca Walbecq, one of our Research Like a Pro eCourse students. 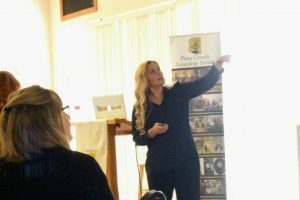 She shares her experience with trying the research process on a research problem she had been studying for years. She began the eCourse with the following objective: “The objective of this research project is to prove or disprove that Daniel Hawley born in October of 1808 in Allegany County, New York and Sarah Sally Huff born on May 14th, 1813 in Allegany County, New York are the parents of William Hawley who was born on August 31st, 1836 in the Community of Mount Washington, Urbana, Steuben County, New York.” Rebecca tells about using the RootsMagic research log feature and citations. 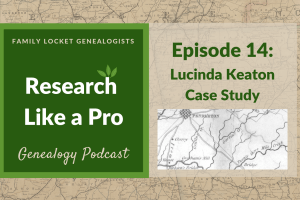 You’ll be interested in hearing the conclusion because Rebecca shares how going through the process and incorporating DNA analysis brought her surprising results and helped her make strides in her research. Share an honest review on iTunes or Stitcher. You can easily write a review with Stitcher, without creating an account. Just scroll to the bottom of the page and click “write a review.” You simply provide a nickname and an email address that will not be published. We value your feedback and your ratings really help this podcast reach others. If you leave a review, we will read it on the podcast and answer any questions that you bring up in your review. Thank you! Leave a comment in the comment or question in the comment section below. Share the episode on Twitter, Facebook, or Pinterest. Subscribe on iTunes, Stitcher, Google Play, or your favorite podcast app. Sign up for our newsletter to receive notifications of new episodes. I recently purchased the researching like a pro and I was wondering if the Facebook group was still active and how can I join. Yes, the Facebook group is growing every day. I’ll send you a private email with info about how to join!